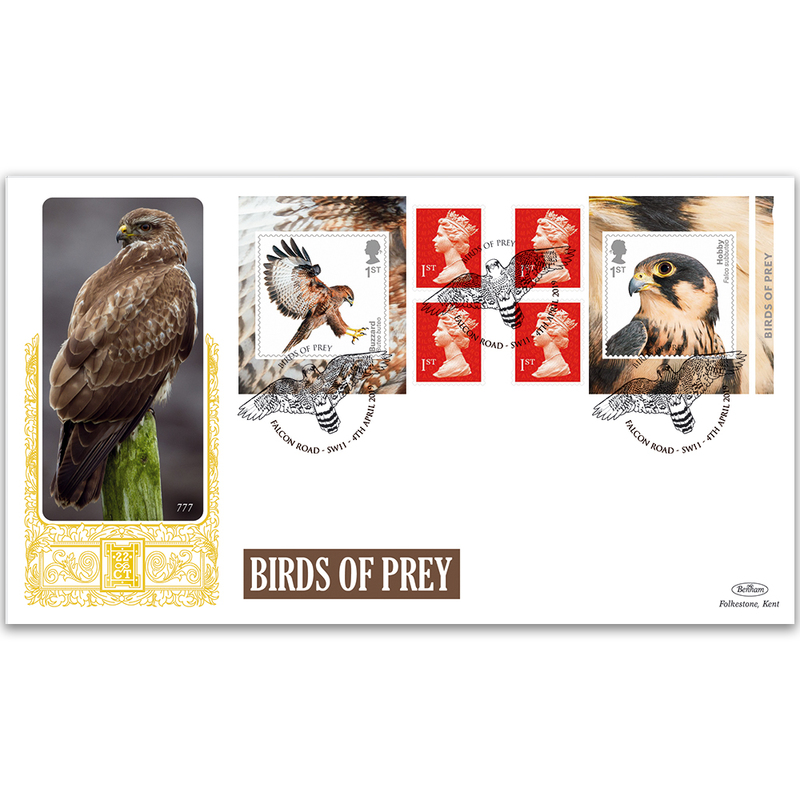 The Birds of Prey Retail Stamp Booklet contains six 1st class stamps - four Definitives flanked by the Hobby and the Buzzard commemoratives from the main issue. The Gold 500 cover carries a splendid image framed by a striking 22ct gold-blocked design together with a Falcon Road, SW11 handstamp. Numbered limited edition of 500.